SmartXYZ is dedicated to create tools make work easier. Copy folder list as text. 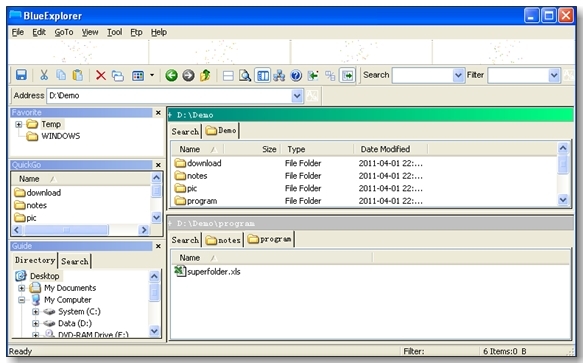 Super view is designed to make folder and group view as easier as possible. Too many documents in a folder? Show only those relevant to your work with a variety of simple wildcards and file property based filters. Too many files in the list, I'm tired to find them by scrolling up and down. Why do it just like search key string in any text editor?